‘Tis the season. Whether you partake or not, you can’t help but tap your toes to this special brand of Christmas music. 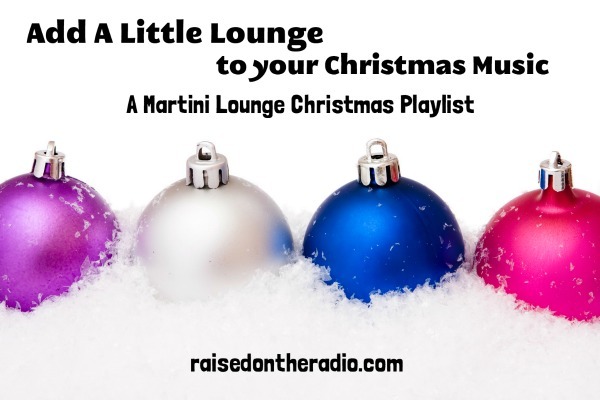 So pull up a chair, grab a martini and enjoy yourself at the Raised on the Radio Christmas Lounge. YouTube on the top, bottom links go straight to *iTunes for your permanent enjoyment. *update! I contacted Geoffrey and look what he made just for us! A YouTube video of Deck Martinis With Green Olives! Deck Martinis With Green Olives – A Very Swank Christmas! And here’s the whole playlist on YouTube so you can just sit back and sip! Next Cozy Up With Your Classic Christmas Standards Playlist!